I had not checked these stats in over a year - back when they were 462,279 :-) So this morning...... !!!! 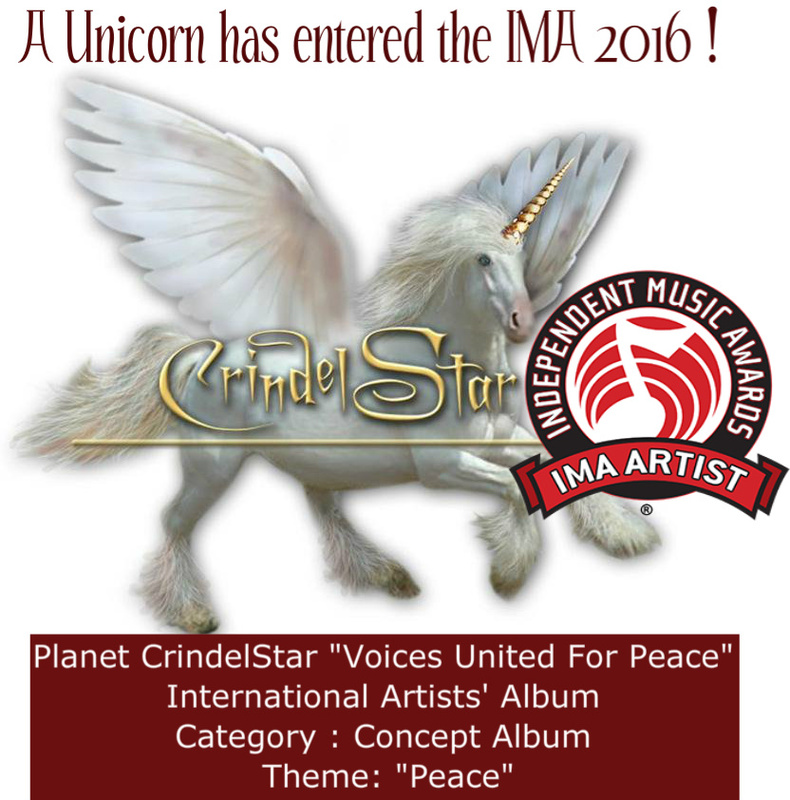 Our Unicorn's International Peace project album continues to give peace a voice. My sincere appreciation and love to all the wonderful International artists who contributed their voices, their magnificent talent, & above all, their authentic passion for peace. Create Your Future: How to Make Your Voice Heard from Human Rights to Civil Rights, From Anti-Apartheid to Anti-War @alternetThe following is an excerpt from Create Your Future: How to Make Your Voice Heard from Human Rights to Civil Rights, From Anti-Apartheid to Anti-War (Snail Press, September, 2015), by Jack Healey. fresh air” to align the Church with the progressive changes of the time. 462,279 Views on iTube247.com ! Hadn't checked it for a while - WOW ! 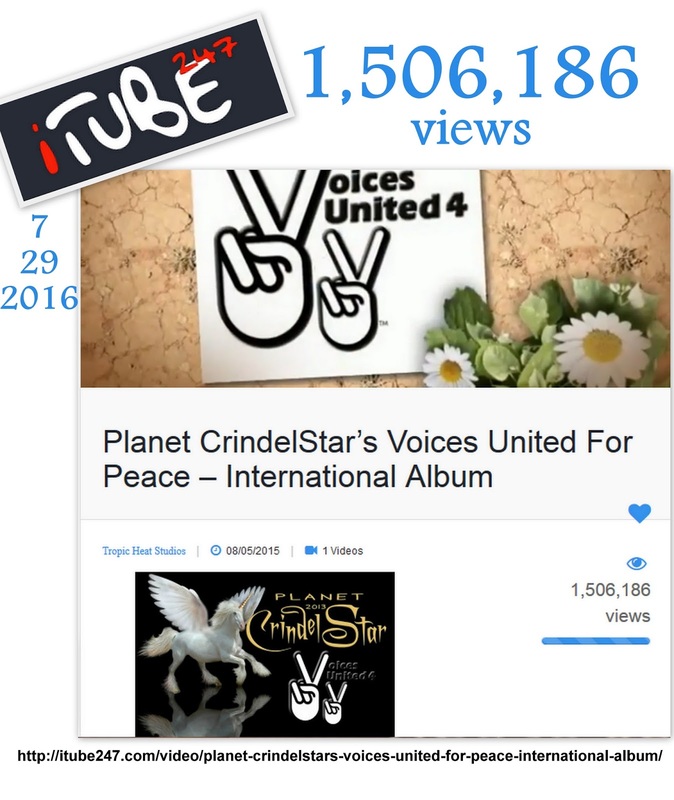 Our Voices United For Peace International Album video - this one features Kimicoh Kimico 's song - has been traveling around the world ! 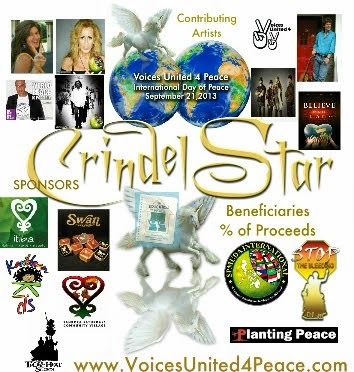 Nashville-based Virgin Islander Gigi de Lugo joined the radio discussion via telephone to share the Sept. 21 release of “Planet CrindelStar,” an international album honoring the United Nations' International Day of Peace. The album, a collaboration of American and European artists and produced by De Lugo, will be played by the United Nations Radio around the world. De Lugo, known locally to many as the daughter of the Honorable Ron de Lugo, is an award-winning 30-year veteran of the music and film industry. Also a dedicated peace activist, she co-founded One Human Race for Justice in Nashville. De Lugo excitedly shared her recent appointment as Global Peace Ambassador for SPMUDA International, a global non-government organization also working toward peace and non-violence. De Lugo emphasized that her peace efforts, including the upcoming year-long campaign to promote “Planet CrindelStar,” owe much to support from Virgin Islands-based businesses and organizations, including Stop The Bleeding, Karibbean Kids of St Thomas, and Itiba Natural Beauty of St Croix. 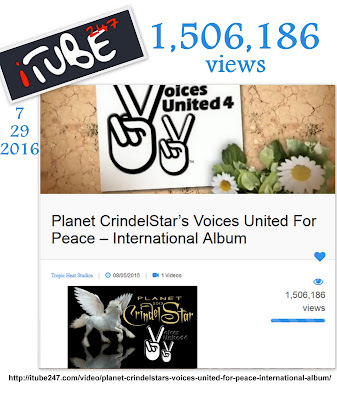 Presenting VU4PEACE International Album Promo Video - it will make you Dance ! What a Great song ! You'll be dancing - it's hot ! Welcome to our first album promo video - "Just Believe" featured song by Kimicoh Kimico and The Defending Champions. Get ready to dance ~ with this song you just can't help it. Thank you Kimicoh Kimico and The Defending Champions ~ WOW ! 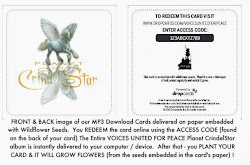 Voices United 4 Peace - JUST BE IT !. Simple theme. Theme images by gaffera. Powered by Blogger.